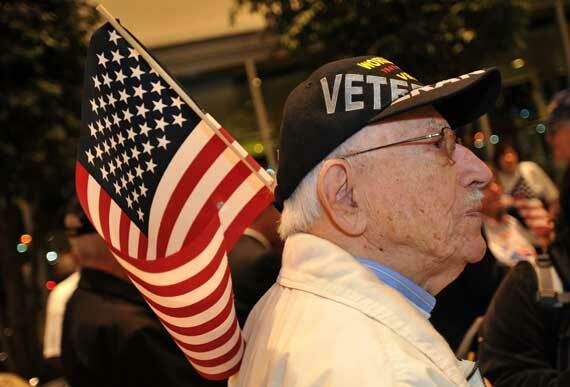 BRIGHTON, Mich. - Ford Motor Company Fund sends World War II veterans to visit the World War II Memorial in Washington, D.C. on the anniversary of D-Day. The fund sponsored 26 World War II veterans from Kentucky, giving Ford an opportunity to thank just a few of our veterans for their time served. June 6, 2013 marks the 69th anniversary of D-Day, which is when WWII U.S troops landed in Normandy, located in the north of France. While D-Day is a term used for the day of the actual landing in Normandy, it marked the beginning of what turned out to be an important victory for the allies in World War II. It was a triumph then, and still remains an important day in history today, which is why Ford Fund sent these honorable World War II veterans to visit the World War II memorial in D.C. This token of appreciation is not the first that Ford has extended towards veterans, as this visit is actually one of three that Ford has sponsored this year. The Ford Motor Company Fund has also announced that they will be giving a hefty sum of $278, 000 in grants to Disabled American Veterans. This generous donation brings the total amount that Ford has donated to DAV to a total of $6.5 million since 1996. Ford is known for supporting and sponsoring our veterans since 1922 in a variety of ways such as supporting memorial funds for several military memorials, and even employing as many as 7,000 U.S. veterans in the Ford company. Ford likes to honor and support all things American, and you should too! At our South Lyon Area Ford Dealer we sell a variety of American-made vehicles, both new and used. So stop by and let us help you find the vehicle of your dreams, such as our New Ford Trucks or one of our many Certified Pre-Owned Cars For Sale.